Both of your hands are full. The balance/scale is used in a glove box. You don't want to tilt or cause any tremor to a highly-sensitive balance, such as the BM-20/22 microbalance. 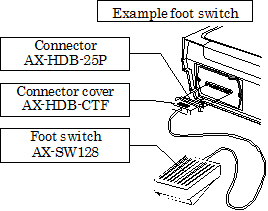 * AX-HDB-25P/CTF external input connector (sold separately) is required. 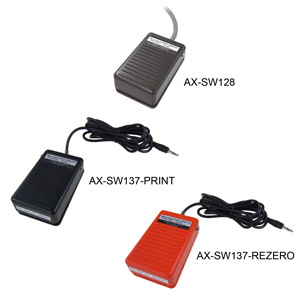 Please inquire for other balances/scales or if you would like to connect two foot switches to perform both Print and Re-Zero.